The world of marketing has evolved over the past few decades. The shift from traditional to digital strategies is large because of the emergence of the “third-platform” technologies such as mobile computing, cloud computing, social media, data analytics, automation, and artificial intelligence (AI). These groundbreaking developments in technology have played a significant role in revolutionizing the world of marketing. Technology is evolving at a rapid rate, and Artificial Intelligence (AI) is a key player of these emerging technologies. AI has come a long way since its beginning. It has completely transformed the way professionals and an individual interact and has effectively transformed the digital marketing strategies. The use and application of artificial intelligence or AI are already widespread in various industries, including, healthcare, financial, automotive, retail, and e-commerce. It’s being used in various fields, and one such field is digital marketing. It has opened various opportunities for businesses that operate in the digital marketing domain. Marketers are now incorporating AI in their digital marketing strategies as it helps them in tracking customer’s preferences and habits. Talking about digital marketing, AI not only provides better customer insights, but it also provides outstanding service to its customers. The use of effective marketing strategy has always been a dilemma for the marketers. 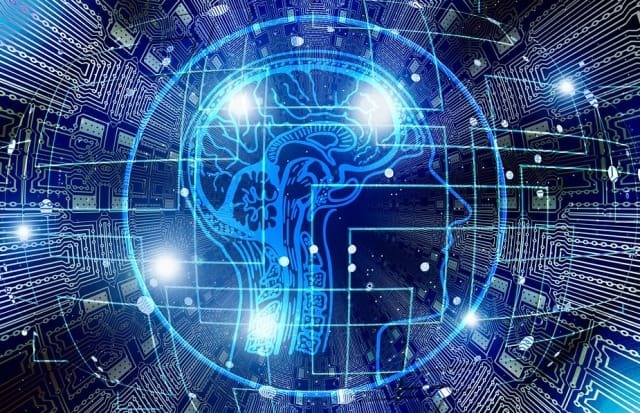 However, with AI technologies, marketers are able to connect better and understand their visitors. It delivers the right insight which has also reduced the need for human operations for deep learning. Chatbots can be understood as a conversational interface or an interactive agent. Siri, Google Assistant, Alexa are AI based chatbots which we use on an everyday basis. These chatbots send the programmed message to its users and simulate the conversation. Various companies are using chatbots to develop interactive communication channel with their customers. According to reports, customers need some kind of support when they are surfing or shopping online, and most of the customers prefer live-chats to get their problems and queries solved at their earliest. Every user demands a quick response and chatbots are one of the best things in AI developments. Chatbots have a promising future, and we can say that chatbots will be the future interface of the companies in the coming times. In today’s advanced world of AI, there is no need for reporters to spend time writing articles. AI can write articles, reports, and news based on information and that too in multiple languages. Various news agencies are using bots today to rewrite their articles in different languages. With AI, you can deliver the right content at the right time. It automatically generates content and helps in curating engaging and relevant content which is very helpful for content marketing purposes. The voice-recognition technology has proven to be a great invention for many users. Siri, Alexa, Google voice search technologies are some of the examples of voice-assisted AI search. These voice-based technologies provide accurate information in real-time. Out of these voice-based technologies, Google tops the chart and every day 3.5 billion voice searches are performed on Google every day. Voice searches provider a quick and short interactive session which saves the time of the users. The voice-to-text technology will continue to evolve and will definitely shape the future of digital marketing. Therefore, it is important for marketers to do their SEO keeping in mind the effects of the voice search. Customer insight is all about understanding your customers which is the key to successful marketing campaigns. Customer insight is very important as it allows businesses and marketers to identify and track the mind of the customers. Understanding your target group is essential for a successful campaign. This can be done with AI algorithms which aids and segments target groups. It is important for marketers to deliver the right message. This can only be done if you have accurate data about your target audience. AI data analytics have made the space easier for the marketers as now they don’t have to spend hour in gaining insights for their target market. AI-driven technology provides deep insights, and a vast amount of quality data and this kind of deep learning doesn’t even require humans for their operations. Better UX is one of the most important aspects of successful digital marketing tactics or strategies. There is no doubt that AI has improved user experience or UX. For example, there are various apps now which allow the customers to try a product before buying. This increases the engagement of the brand. After all, a good UX is all that a customer desires and the AI- driven technologies offer the same thing to the end user. The AI-powered messages are always focused on creating a solution for the exact problem the customers are facing at the moment. It improves customer experience and provides for a more personalized experience to its customers. Unlike humans, bots (chatbots) are available 24*7 which helps the brands in building stronger and better relationships with their customers. These improved features have increased the overall satisfaction of the customers. The future of digital marketing is promising, and AI is reshaping the digital marketing for its best, and it will continue to play a significant role in digital marketing in the coming years. The use of AI-powered technologies can help you stay ahead in today’s marketing domain. AI makes work more efficient, and it’s time for marketers to make full use of this. The world of digital marketing is constantly changing, and it is important for marketers to take advantage of AI if they wish to stay ahead and succeed in this competitive market. Use AI and rebuild your business in this digital landscape. Author Bio: Aditya S works as a Growth Assistant at AirTract.com, a social platform wherein people ask questions, write and read articles, share knowledge and experience. He has a Bachelor’s Degree in Computer Science Engineering and has been working in the field of Digital Marketing for the past two years. He is also a voracious reader and a big sports fan. I hope you enjoyed this blog post about the future of digital marketing and how artificial intelligence is improving it. Interested in more articles about digital marketing and technology?